When it comes to a professional maternity shoot photographer, no one quite does it like Lotus. We take the time to get to know each of our clients. By understanding what you are looking for in your maternity shoot, we can not only meet your expectations, but exceed them. 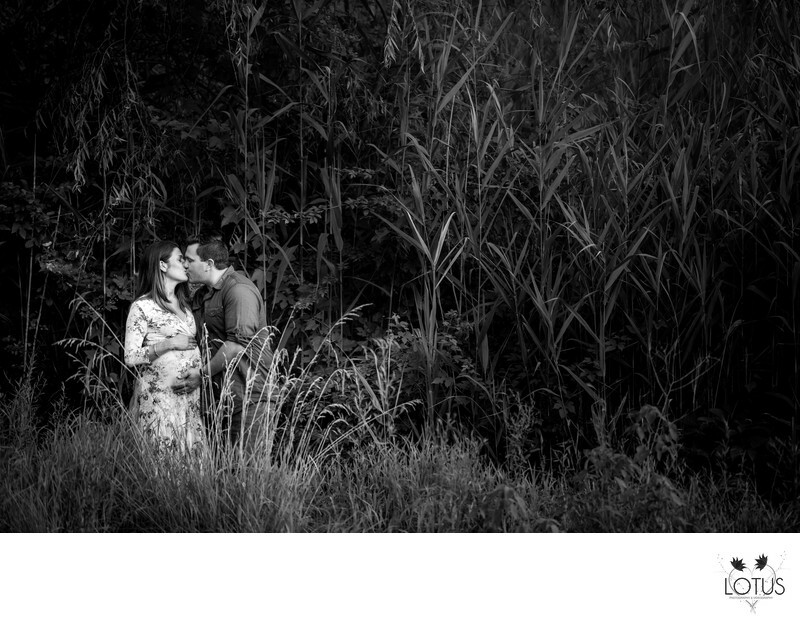 This creative maternity shoot was taken at Roslyn Duck Pond in Roslyn Long Island. We choose this location because the parents had their wedding photos take here and it was special to them. I personally liked this park because it gave me as the couples professional maternity photographer the ability to create unique and fun images of the expecting parents. One of my favorite parts of this photo is the way the couple is holding each other. The father is holding the mothers belly from the bottom while the mother is holding her belly from the top, while they kiss. I love the use of foreground with the background being totally blurred out. This allows the view to focus on whats important in the photo, which is the connection between the parents.